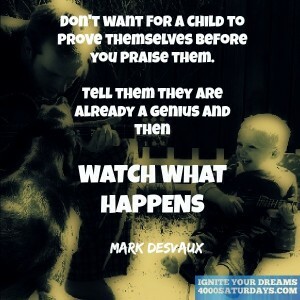 Don’t Wait For A Child To Prove Themselves Before You Praise Them. 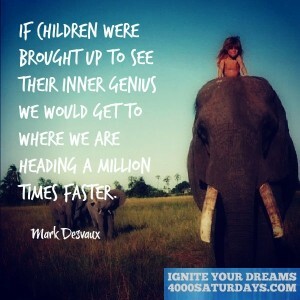 Tell Them They Are Already A Genius And Then Watch What Happens. 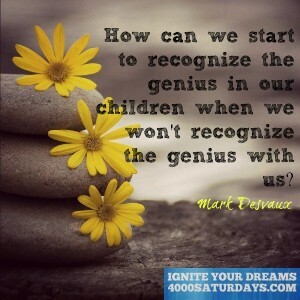 How Can We Start To Recognize The Genius In Our Children When We Won’t Recognize The Genius With Us? 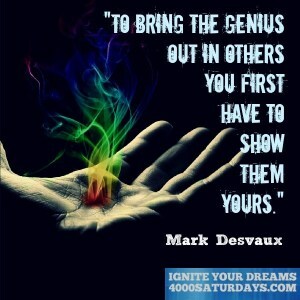 To Bring The Genius Out In Others You First Have To Show Them Yours. 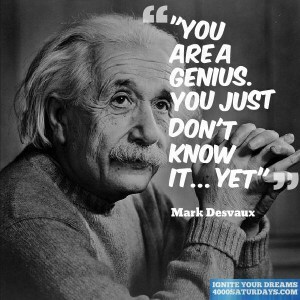 You Are A Genius. 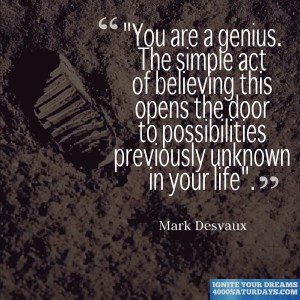 The Simple Act Of Believing This Opens The Door To Possibilities Previously Unknown In Your Life. 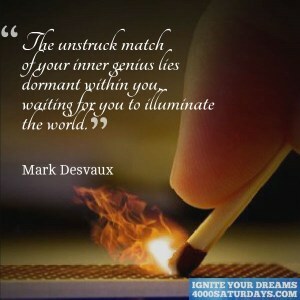 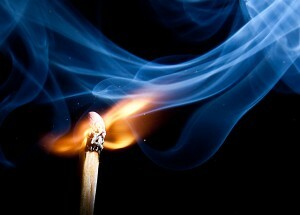 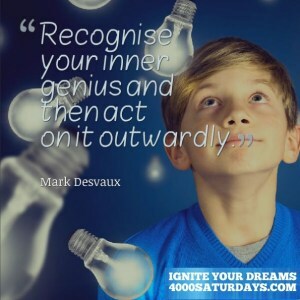 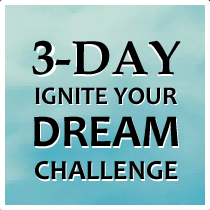 The Unstruck Match Of Your Inner Genius Lies Dormant Within You Waiting For You To Illuminate The World. 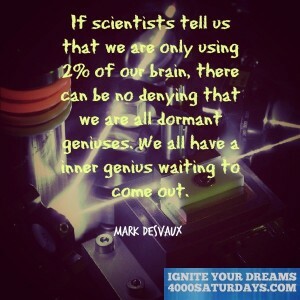 If Scientist Tells Us That We Are Only Using 2% Of OUr Brain, There Can Be No Denying That We Are All Dormant Geniuses. 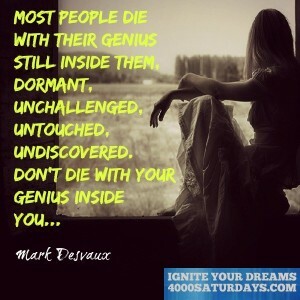 We All Have A Inner Genius Waiting To Come Out. 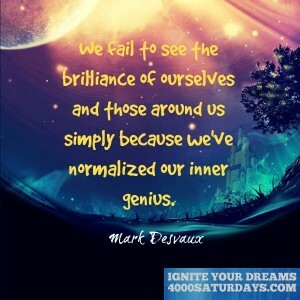 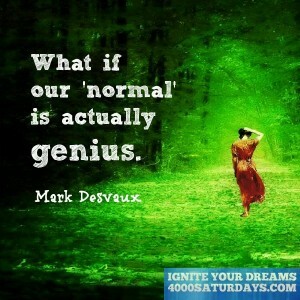 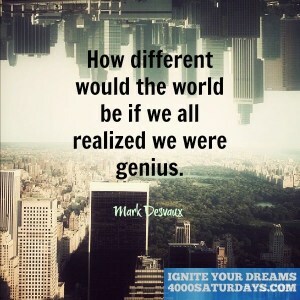 What If Our Normal Is Actually Genius. 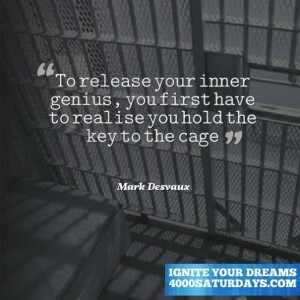 To Release Your Inner Genius, You First Have To Realise You Hold The Key To The Cage.